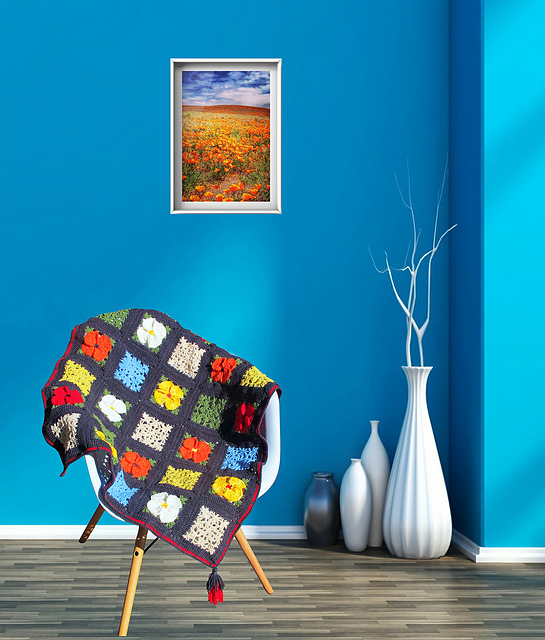 The blanket is inspired by the picturesque California. Fantastic poppy fields, flowers and sunny views. This is a free pattern. 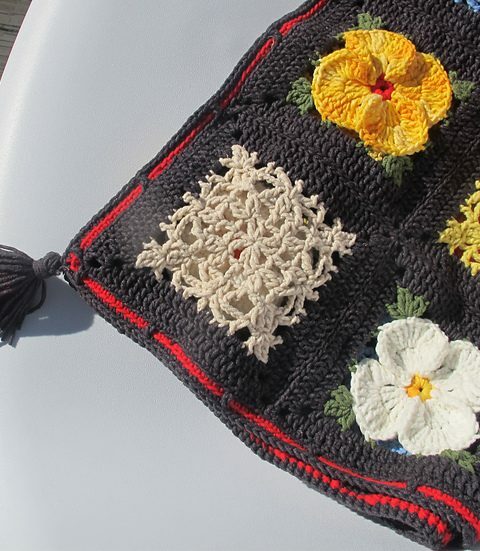 It’s worth having this pattern in your crochet collection. It’s wonderful! You can make a blanket in several sizes. You will find instructions for each available size. In the tutorial you will learn from start to finish how to do this work with the photos. The colourful flowers look beautiful on a black background. You can exchange the background for any version of the flower garden will be amazing. Good luck!